Prior to Christmas, searching for the perfect gifts, I stumbled upon a story that I’d not heard of before but instantly hooked me. The story was that of a guy called Joe Cross, who was "sick, fat and nearly dead"….and determined to do something about it. Joe travelled to America, bought a juicer and hooked it up to a power supply in the back of his car and drove across America to film a documentary centred on how he would lose weight and regain his health, turning his life around. 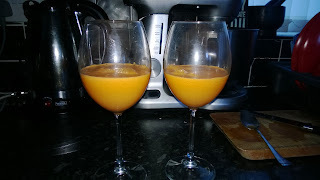 Before I’d even managed to watch the documentary, which is available freely on YouTube, I’d decided that even if I wasn’t about to embark on a juice diet, a juicer would be the perfect gift this Christmas and a great way to replace those sugar filled cartons of supermarket juice I’ve always bought. 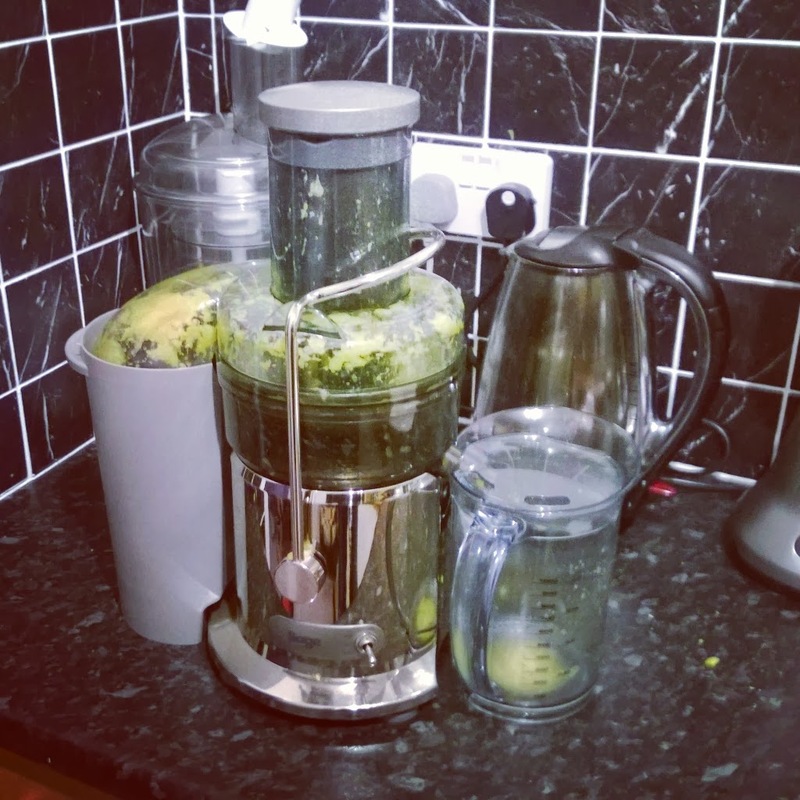 A couple of weeks later, I’d done my research and decided to buy the Sage Juicer I’d found online as a gift for my girlfriend Katie; who I knew would appreciate the health benefits of having fresh juice and generally enjoy having more fresh fruits and veg around the house. Not that we never had any fruit and veg around the place to being with – we’ve always been careful about what we eat and prefer to cook from fresh anyway. In the run up to Christmas, having gifted the juicer early, we experimented with a couple of different made-up fruity concoctions with mainly satisfying results. Having indulged over Christmas (who didn’t? ), the New Year has brought with it the predictable resolutions of losing weight and bettering ones-self. Whilst I’m not one for making resolutions (I see little point in setting “resolution goals” at the start of the year, when you can set goals and objectives at any time), we had already decided post New Year, having watched Joe’s documentary to partake in a 10 day juice cleanse at the start of January. Today, is day one of the cleanse, and we’ve already created our “Good Morning Glow” juice for this morning and our fridge is full of fresh fruit and veg. The Sage Juicer is about to be thoroughly tested and put through its paces. The next 10 days are going to be interesting for sure….I just hope that we can survive on juice alone!